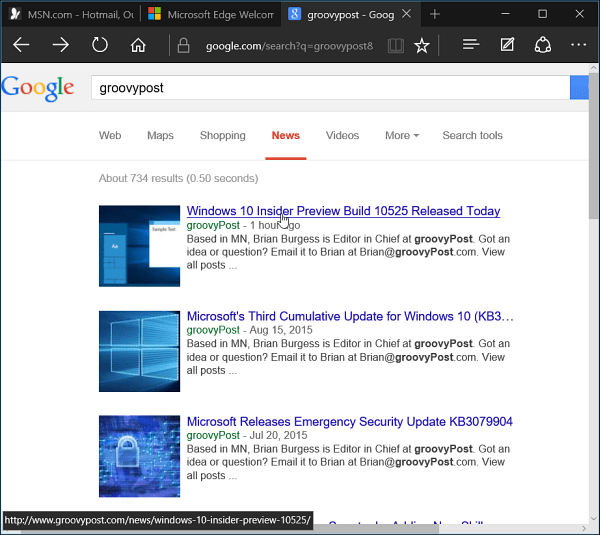 Windows 10 includes its new web browser called Microsoft Edge. 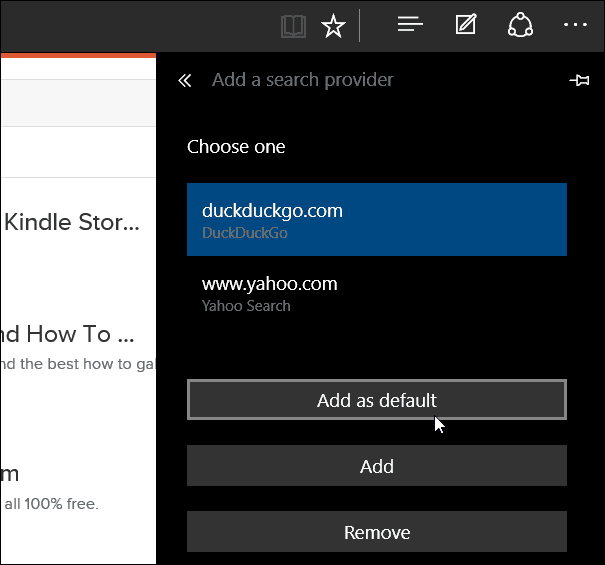 As you’d expect, it uses Bing as the default search, but you can change it to what you prefer. 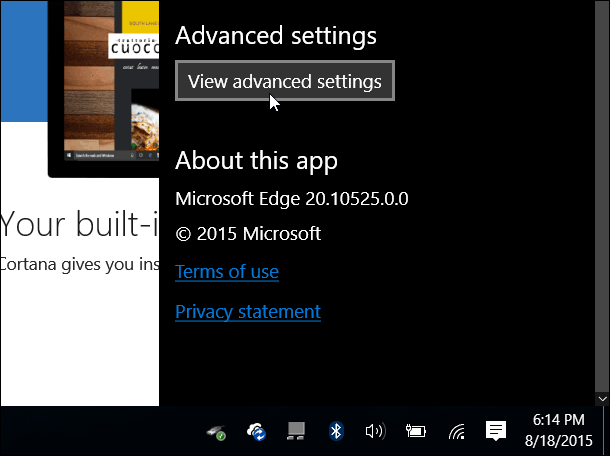 Windows 10 introduces several new features, one of which is the Microsoft Edge web browser. While it comes up short compared to other browsers, namely the lack of extension support, it’s intuitive, responsive, and overall puts Internet Explorer to shame. 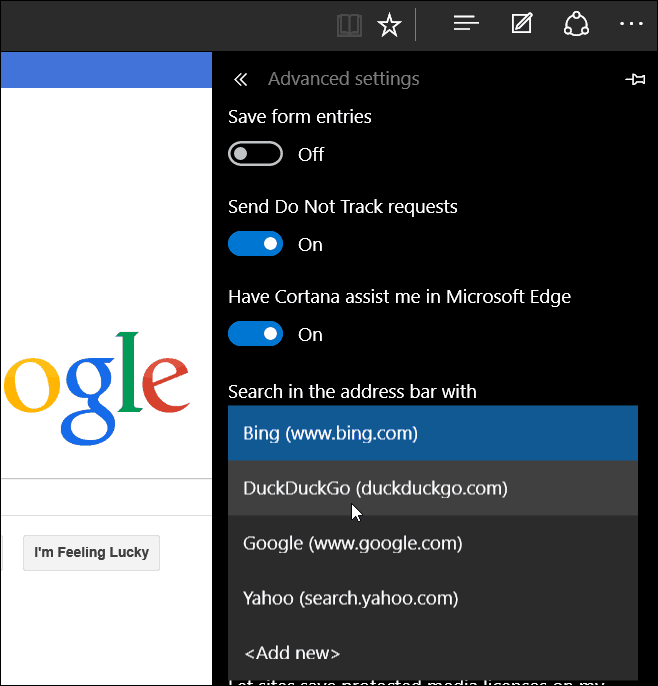 Since this is Microsoft’s creation, as you’d imagine, Edge uses Bing as the default search engine. However, you might want to make it something else like Yahoo, DuckDuckGo, or Yahoo. Here’s how to do it. The first thing you want to do is head to the search site that you want to use. 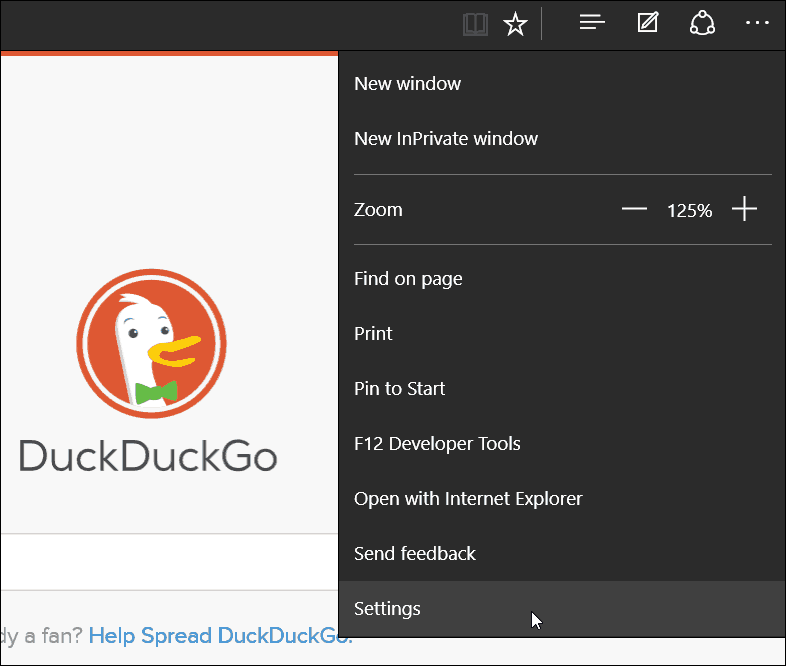 In this example I’m using DuckDuckGo. After that select the ellipsis (More actions) icon in the upper right and select Settings. Scroll down to the bottom of the Settings menu and select View advanced settings. Next scroll down a bit and select the dropdown menu under Search in the address bar with. 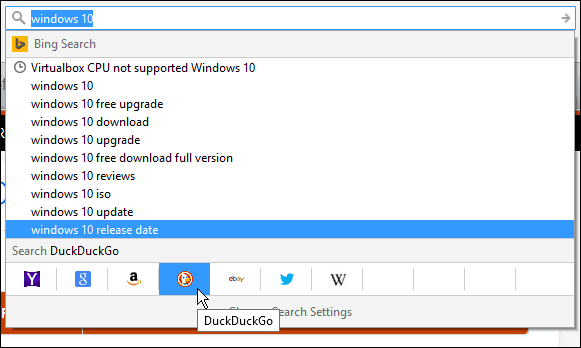 Obviously Bing is set as the default, but you want to click <Add new>. Then select the search engine and you can either add it, remove it, or set it as the default. In the shot below you can see I added a few different search engines to select from. 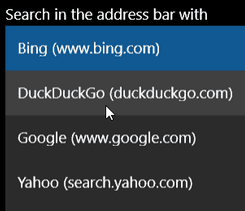 If you need to change your default search engine from Bing to something else, just do it once and you’re done. In the example shown below I changed the default search to Google to give you an idea of how things will look after making the change. This isn’t the most intuitive way to change your search engine on-the-fly. For that, I would like to see an implementation similar to how Firefox has its search box set up, but in the address bar instead. Just keep in mind, that Microsoft has set up Windows 10 as a service, and there will be constant updates and improvements over time. I’m sorry where exactly did you show or explain how to change the default to google? I’m not seeing it. That would be “I don’t get any ‘Add new’ like your picture shows.” I used pointy brackets the first time and that apparently gets screened out because it looks like an HTML tag. 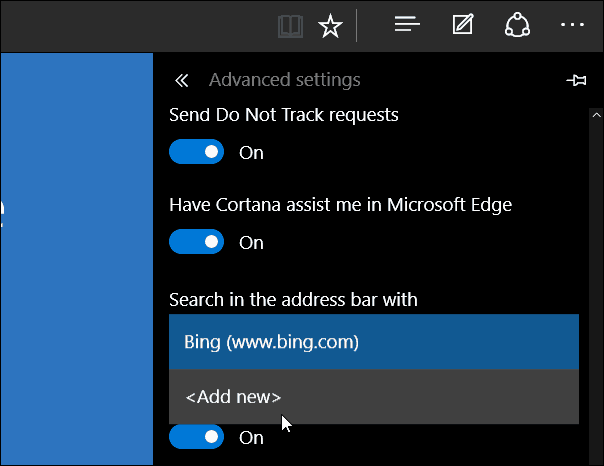 What update added MS Edge and Bing? How do I get rid of it and revert back to before that change? I want my pdfs in Adobe, not Edge. Edge is crap! How dare MS force this on us!